Engineer's Day is celebrated on 15th September, in the honor of Sir Mokshagundam Visvesvaraya in India. 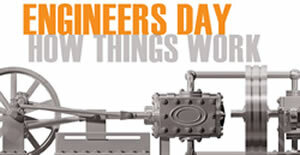 Engineer's Day is celebrated in every country, in accordance to their respected scheduled dates. In India, it is celebrated on September 15th in the honor of Sir Mokshagundam Visvesvaraya, who was born on this date on 1860. Similarly, Engineer's Day of Argentina is on June 16, of Belgium is on March 20, and many more. In India, this day is celebrated in the honor of Sir Mokshagundam Visvesvaraya, for his contribution towards the design and construction of water resources implantations. He was the first engineer of his time. This day is celebrated with all prestige and digitiny by the engineer’s, in order to privilege their tribute and hard work towards their studies and passion.